Param Pujya Bhaishree is an enlightened master and the spiritual head of Shree Raj Saubhag Satsang Mandal. What strikes each and every soul encountering him is his ethereal gentleness. His deep and loving eyes that shine bright with his inner attainment, graciously pierce through the very soul of the onlooker and creating a lasting impression that cannot be described in words. Indeed the scriptures proclaim that purely the glance of the enlightened master is capable of awakening a seeker and Bhaishree is testament to that truth. His gentle voice that contains the most profound essence of spiritual wisdom never fails to resonate with the keen listener. Like a loving mother, Bhaishree patiently dedicates his time and energy to each and everyone that seeks his shelter and provides them the nurturing and nourishment based on their own unique backgrounds, experiences and notions. Bhaishree met Bapuji at the young age of 33, while the latter was in Mumbai. An inexplicable, magnetic attraction grew in Bhaishree and he knew that he had met his spiritual master as a deep sense of awe and love swelled up in him towards Bapuji. Balancing his household and business duties with spiritual progress, within a few years he attained the very heights of spirituality that even great ascetics yearn for. Fully recognising his potential, Bapuji kept Bhaishree close to him and trained him comprehensively. At the opportune moment Bapuji annointed Bhaishree, and would lovingly say that he was himself now under the spiritual command of his own former disciple – such was the respect Bapuji held for the Master-disciple spiritual relationship. Bapuji poignantly declared that disciples should seek him within Bhaishree, so much had he absorbed. Under the auspices of Bhaishree, the ashram has scaled unprecedented heights. Bhaishree’s spiritual teachings have drawn from the writings of not only great Jain sages of the past such as Hemchandracharya, Anandghanji, Yashovijayji, Pujyapad Swami, Umasvati, Nemichandra, Vinayvijayji and Shrimad Rajchandra, but also enlightened seers from other faiths. He has lovingly initiated thousands in the technique of meditation that led him to experience the soul and numerous great saints before him. He has generously created every possible means of supporting seekers on their inner quest and experiencing their oneness with the Lord. Indeed Bhaishree is a living embodiment of divinity. 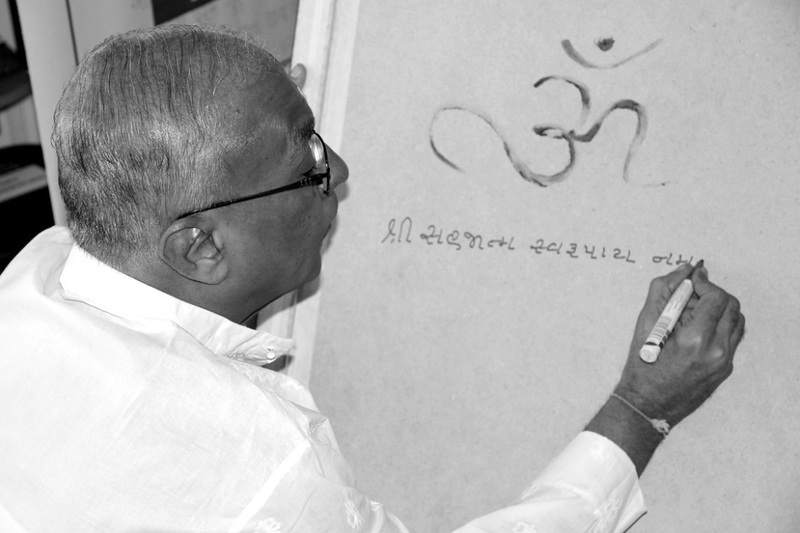 Born on 24th November 1943 in Mumbai, he was brought up in a joint Jain family. 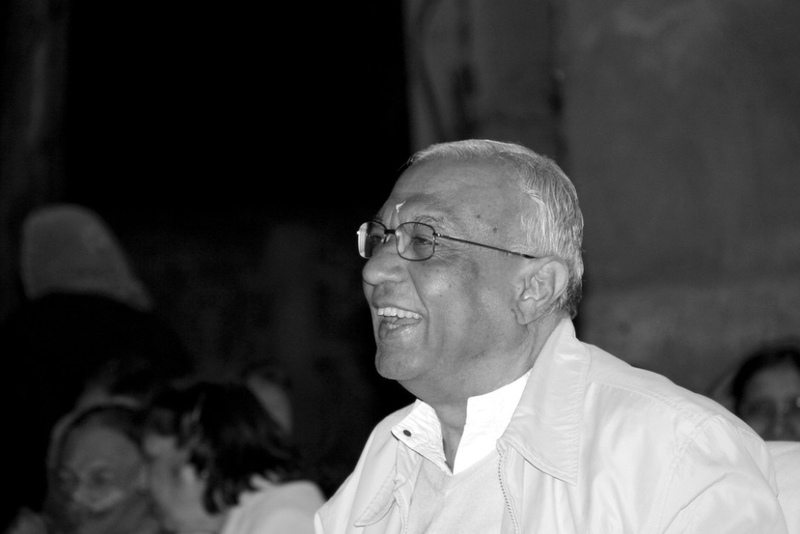 His mother Kumudben brought him up imbibing family values and virtues. His father Mr Anantrai imparted his foresight and tact of management. Calm and obedient to his parents, he remained self-contained. He was a good student and passed his L.T.C (License in Textile Chemistry) from V.J.T.I College, University of Mumbai specialising in dyeing and wet process. Then he joined his family business of cloth manufacturing. At the age of 26, he married Mamtaben, who devoted her life to looking after him and his family. Though not spiritually very inclined, his tolerant and truthful nature made him trustworthy. His helping nature won him many friends. Liked by all, he was popular among friends, family and business circles. 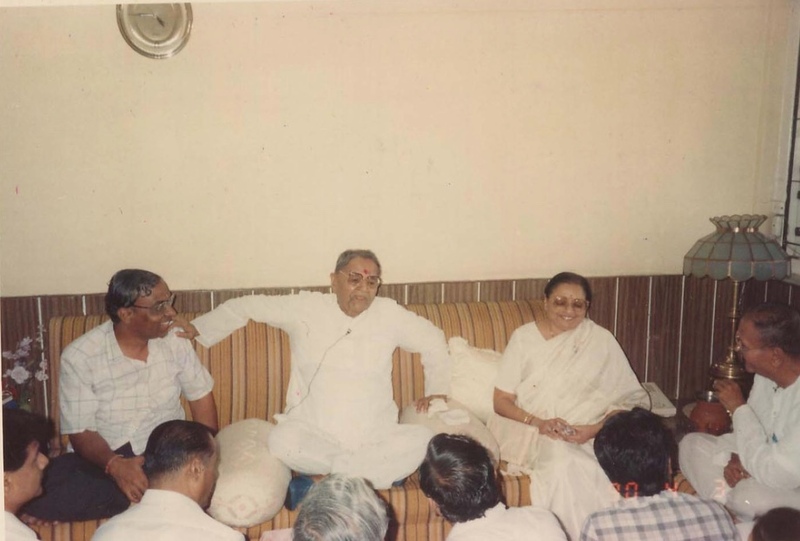 His father-in-law, late Mr. Shantibhai Ambani, one of the pioneers of this Ashram introduced him to Param Pujya Bapuji (Mr. Ladakchand Manekchand Vora) in whom he found his mentor, a spiritually enlightened Guru. 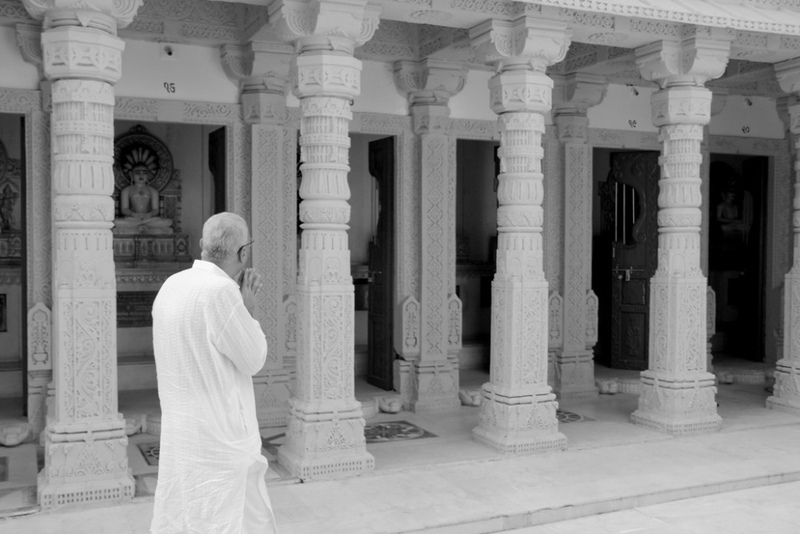 He was deeply moved by Bapuji’s sermons. Bhaishree surrendered and took the refuge of Pujya Bapuji. Under his spiritual master he began his life all over again, living exactly within the commands and guidance he was given. Spirituality started weaving into every thread of his life. Thus he soon progressed. His devotion towards the path, his continuous, steady and concentrated efforts to tread on it, his ability to understand scriptures and moulding himself accordingly, made him one of the best disciples. He strived relentlessly, pursuing his goal of self-realisation. And on attaining it, he became the most reliable aspirant to whom his Guru could bestow his legacy. Pujya Bhaishree has freed himself from the dualism of life. He has subdued his passions. From every pore of his soul flows a steady stream of selfless love that envelops the whole world portraying the highest level of equanimity. His simple language brings out the deepest meaning of scriptures so easily. His every thought, word and deed translate the essence and character of past great saints. It would not be an exaggeration to call him a philosophical institution in himself or an encyclopedia of truth and knowledge. In the absence of Param Pujya Bapuji, Bhaishree heads Shree Raj Saubhag Satsang Mandal. His gentle and modest approach has earned him respect from everyone who meets him. He radiates warmth and happiness, which is absorbed by those around him. The vibrations of his words awaken an inner strength that helps us to recognise the truth. Under his true guidance there are innumerable disciples globally striving hard to achieve self-realisation and to ultimately free themselves from shackles of birth and death, the vicious cycle of reincarnation. Under his prudent leadership, philosophical pursuits have joined philanthropic motives and together he has accomplished several projects of social welfare. We pray that we may remain in the shelter of his serenity, living life according to his holy commands.